There is a few really cool things about this type of snack. For one, the balls tend to be packed with nutrients and natural ingredients. Often, you'll also find that they have ingredients that promote long-lasting energy, like nuts and seeds. Their size is also perfect for snacking, and they are easy to take with you. But, more than anything else, I love the versatility of snack balls. As you will be able to see from this list, there is a huge range of different flavors that you can make. Sometimes the balls might be healthy and savory, but other times they might be a sweet treat that you don't want to have too often. Whatever type you prefer, there certainly is a wealth of options to choose from in this roundup. And, as usual, I've tried to pick out the most appealing recipes I could find as well as some unusual ones. 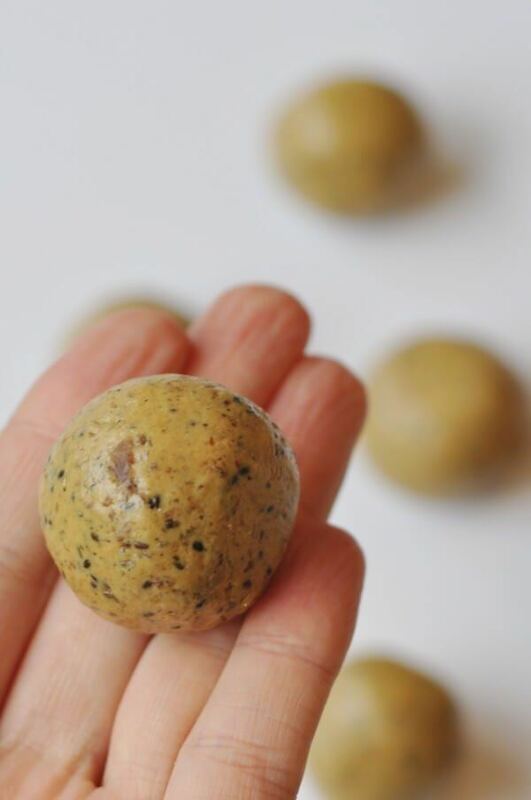 These snack balls come from thewheatlesskitchen.com and they just look perfect. The recipe is a simple one, using just 6 ingredients and little fuss, which is always appealing. 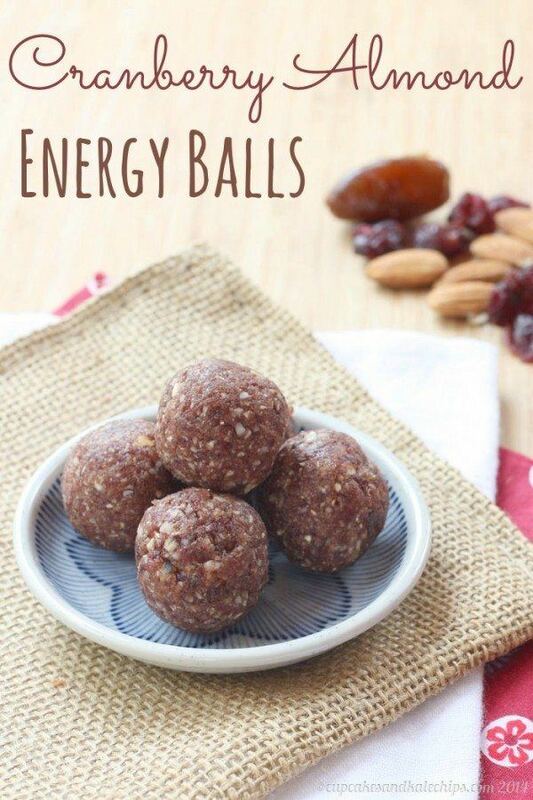 The balls themselves are also high in protein. That really does make them a perfect snack, and a much better alternative to an energy drink. Pumpkin spice might seem overdone sometimes, but personally I can never get enough of the flavor. Margaret from theplantstrongvegan.com clearly feels the same, because she came up with these beauties. They rely heavily on oatmeal and pumpkin, so you end up with a treat that you could easily eat for breakfast if you wanted to. 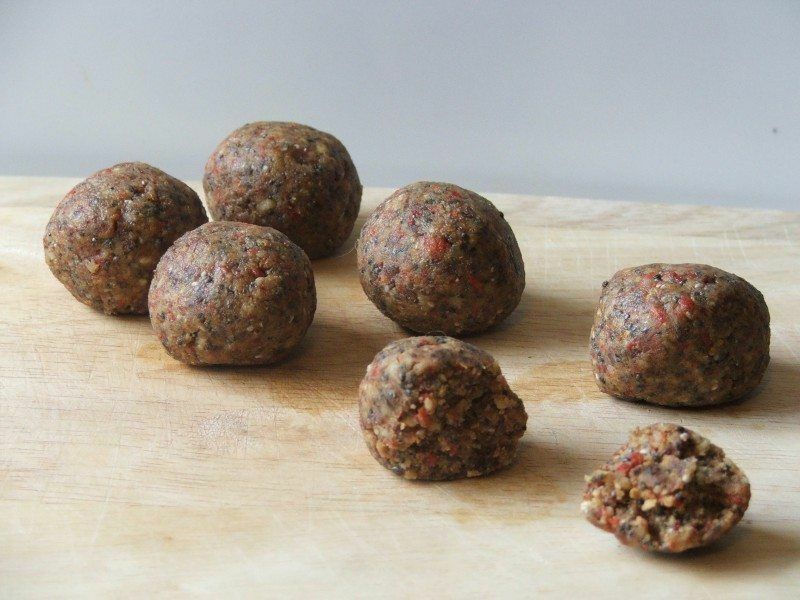 The color of these snack balls from feedingfinn.com is great, and that color would be a perfect way to win over some fussy eaters. 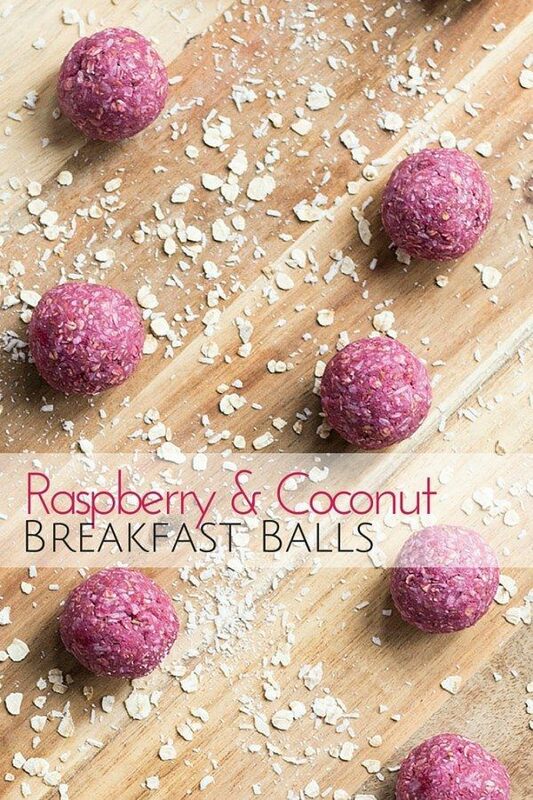 Even with the raspberries the end result isn't overly sweet, which is why the balls would make such a good option for breakfast. Besides, it's always fun to have something a little bit different for breakfast every once in a while. The way these snack balls look is really cool. It's a pretty good approach really, because the different colors make the flavors of the treat pretty obvious. 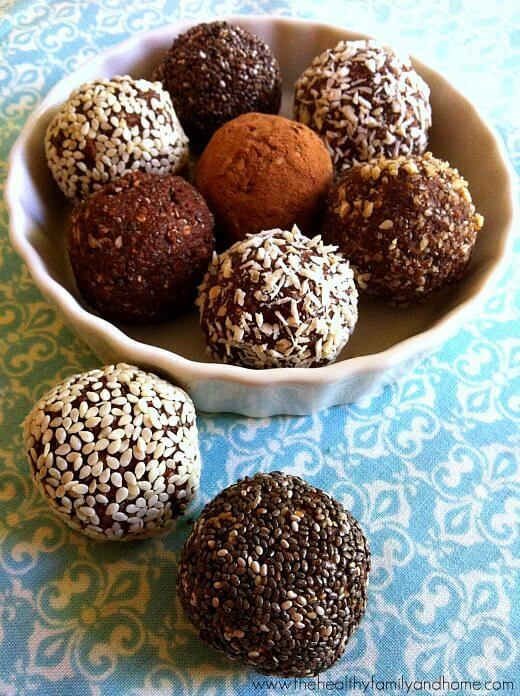 This recipe comes from thebigmansworld.com and shows how to make both parts of the snack ball. Theoretically, you could just make chocolate snack balls or vanilla ones if you were so included. Personally though, I think that combining the two flavors in a single snack ball is the way to go. I found these snack balls over at therawvision.com and I was won over by the use of cinnamon and the little flecks of red in the snack balls. I really like the recipe that Andrea has created, because it has a number of different flavors that just work so well together. 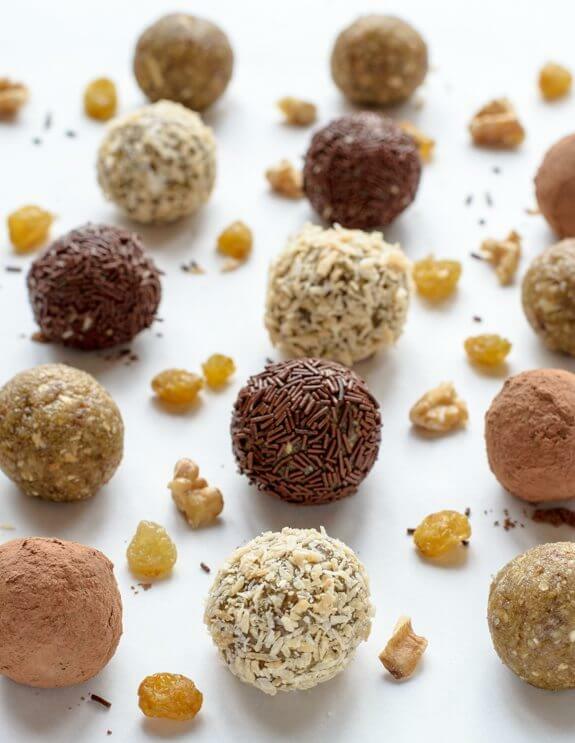 The snack balls themselves even look healthy and based on their recipe – they certainly are healthy. 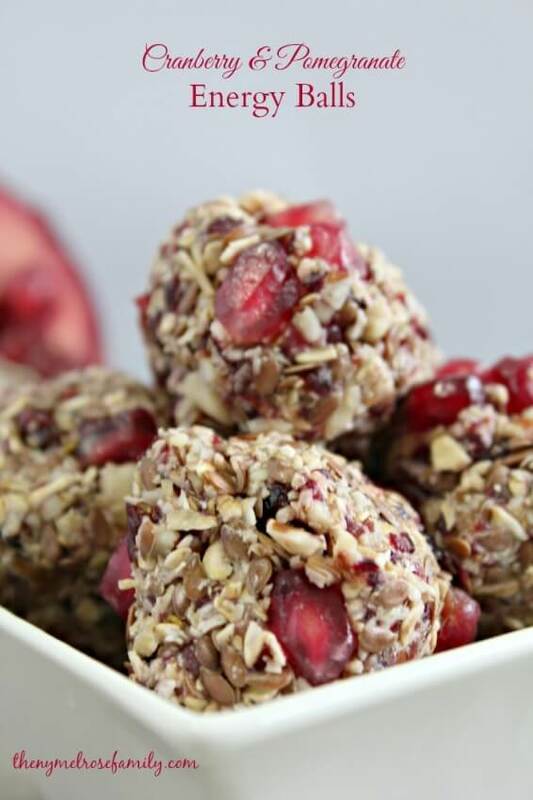 I love the idea of using cranberries in snack balls, because they have that sharp taste that can really stand out. The recipe comes from cupcakesandkalechips.com (which is an awesome name for a site), and it is also a very easy recipe to follow. 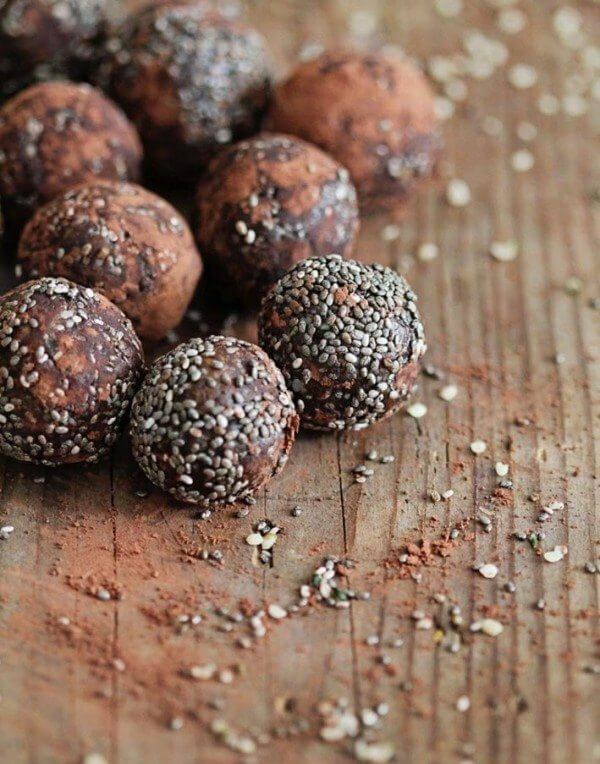 With just four recipes, these snack balls are great if you want something healthy in a hurry. Chocolate-based snacks and sweets can be amazing, but I personally love the idea of using lemon and vanilla even more. This flavor combination creates a good taste overall, and means that you don't end up with a protein ball that is sickly sweet. 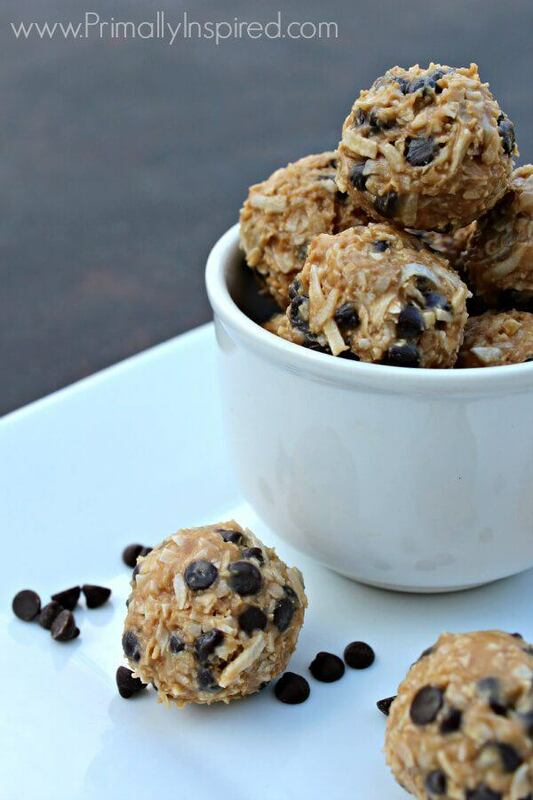 If you want to give these a try, the full recipe comes from thehealthymaven.com. 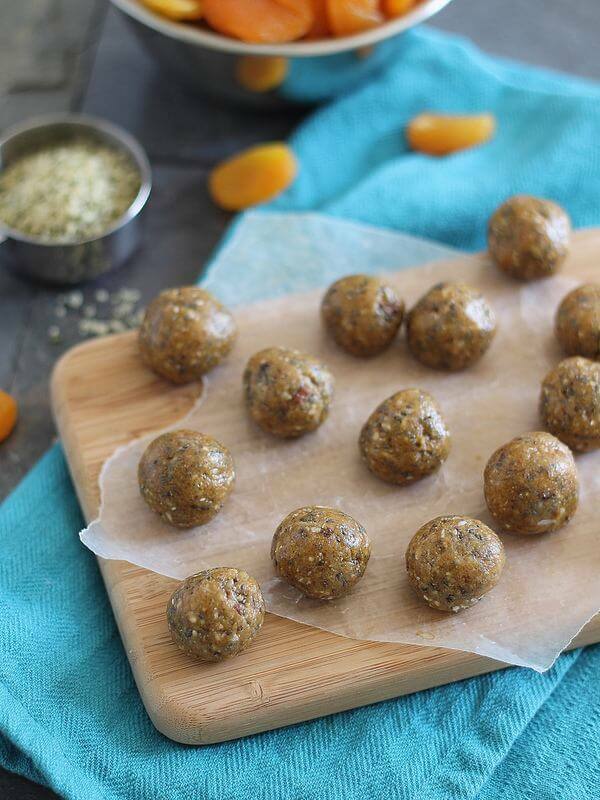 Hemp seed isn't a particularly common choice in energy ball recipes, although you are probably familiar with the combination of white chocolate and cranberry. The recipe from busybuthealthy.com does look nice, and it would be a good option if you feel like trying something a little bit different. You could always make the balls using another type of chocolate instead, if white chocolate isn't your thing. I completely love the idea of these snack balls. For one thing, the balls have all of the flavors of a mojito, while also managing to rely on natural ingredients. But, the other cool thing is that the recipe allows for an alcoholic variation or a non-alcoholic. The full thing is over at veganricha.com and is certainly worth trying out. One of the best things with snack balls is that many of the recipes work perfect for little people who are quite picky. The fact that the balls are easy to hold and are a little bit unusual probably helps too. 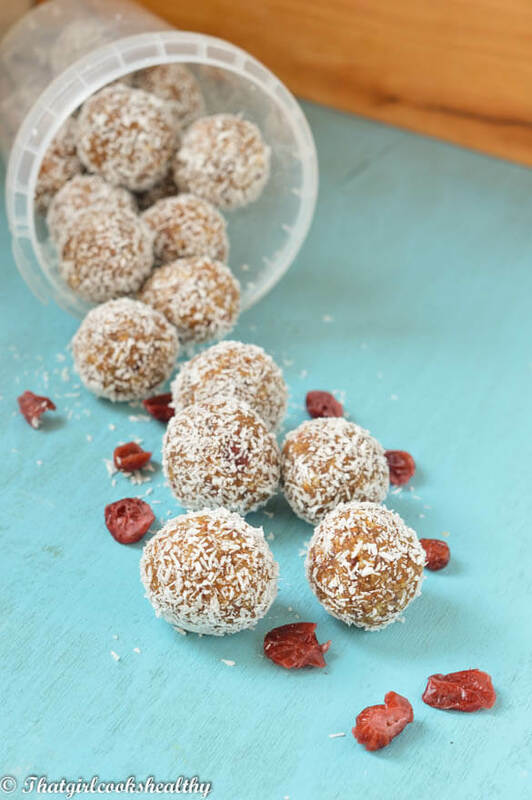 These snack balls from sweetashoney.co.nz are a healthy and savory option for toddlers (or any age group really) and can be eaten warm or cold. They're a good option for a quick and easy snack that you can carry with you. 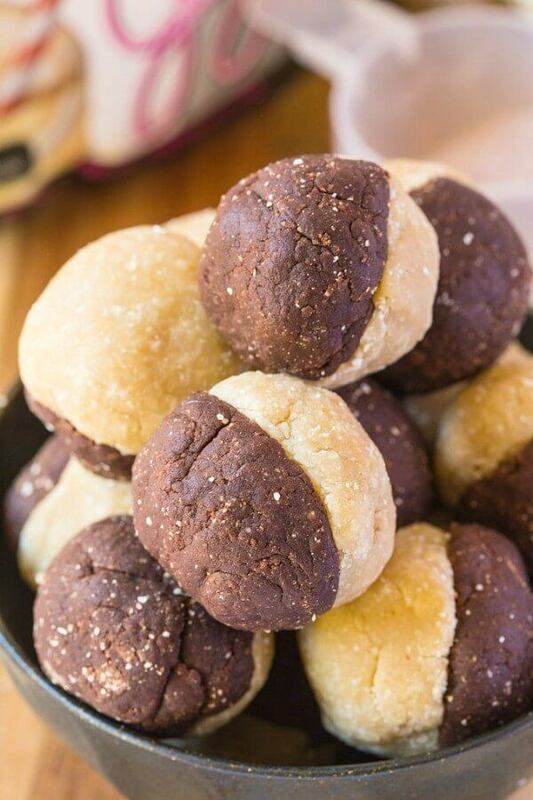 It's easy to see where this recipe got its name from, because the snack balls really do look like balls of bread, even though they actually aren't. Still, runningonrealfood.com has done a good job with the recipe, so the balls should actually taste like banana bread. The end result is certainly much more portable than banana bread and is probably healthier too. 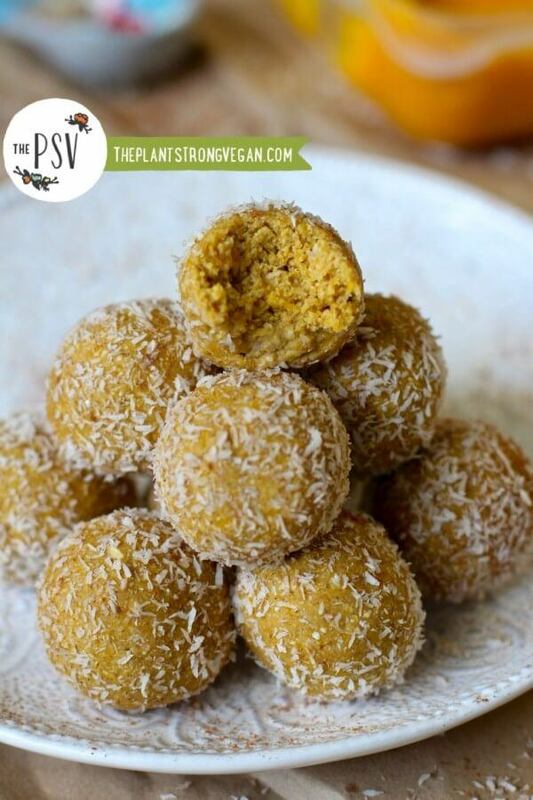 All of the protein balls in the image above, from thehealthyfamilyandhome.com, actually come from the same recipe. The difference is the topping that they are rolled in, so you could pick whichever topping (or toppings) that you found the most appealing. Personally though, I think having multiple different types looks great visually, and that approach would be perfect if you were going to serve them to guests. 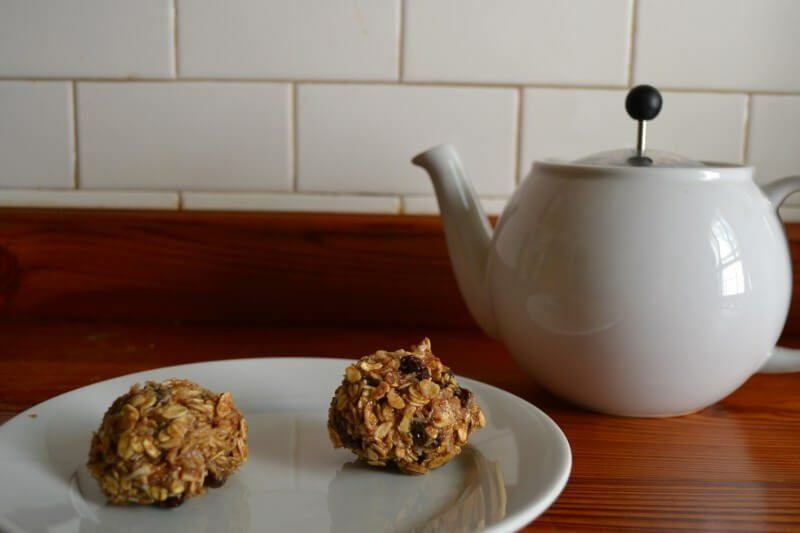 This snack ball recipe comes from thatgirlcookshealthy.com. Like many of the recipes on this list, it avoids refined sugars and processed food in favor of simpler and healthier alternatives. The combination of ingredients would give the balls a slight sweet flavor, but they wouldn't suffer from the issue of being overly sweet. 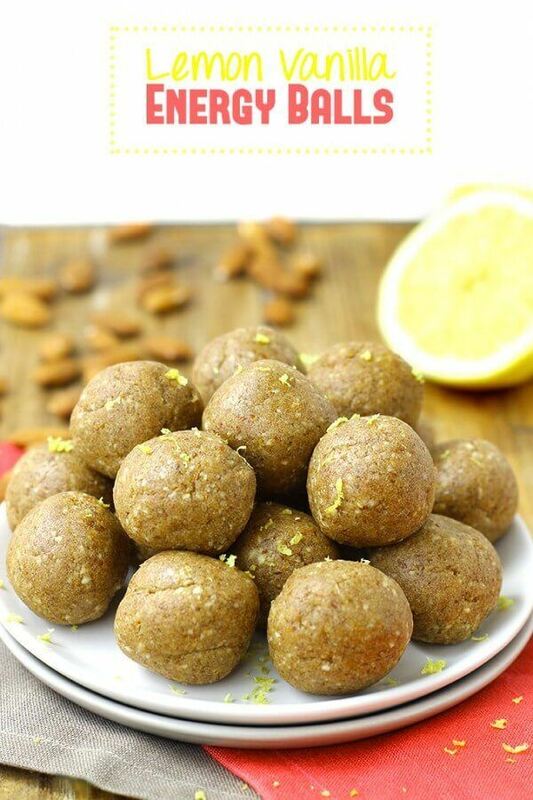 I found these protein balls when I was looking at the food over at veganfamilyrecipes.com and the recipe looks simple and tasty. One good thing about these snack balls (and many of the others), is that they are high in protein. 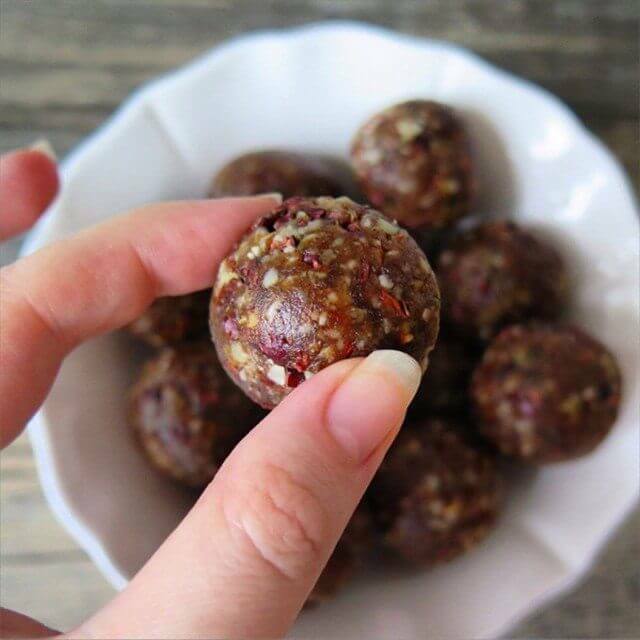 That protein content means that the snack balls really can provide a boost of energy, and they're a great option for holding you over until it is time for the next meal. These snack balls, from wellplated.com, are a good option if you have access to golden raisins. 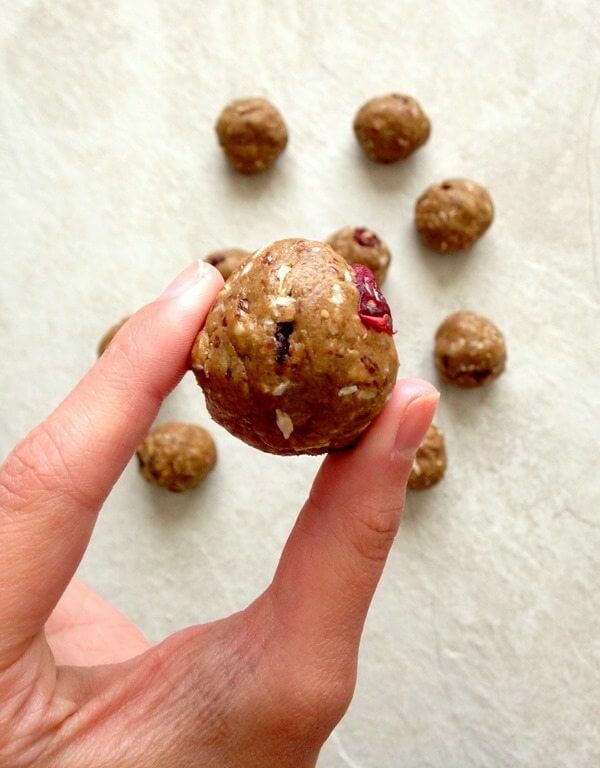 As Erin points out, the recipe is worth trying even if you don't particularly like raisins, as golden raisins are quite different than their purple cousins and they make an appealing addition to this particular snack ball recipe. 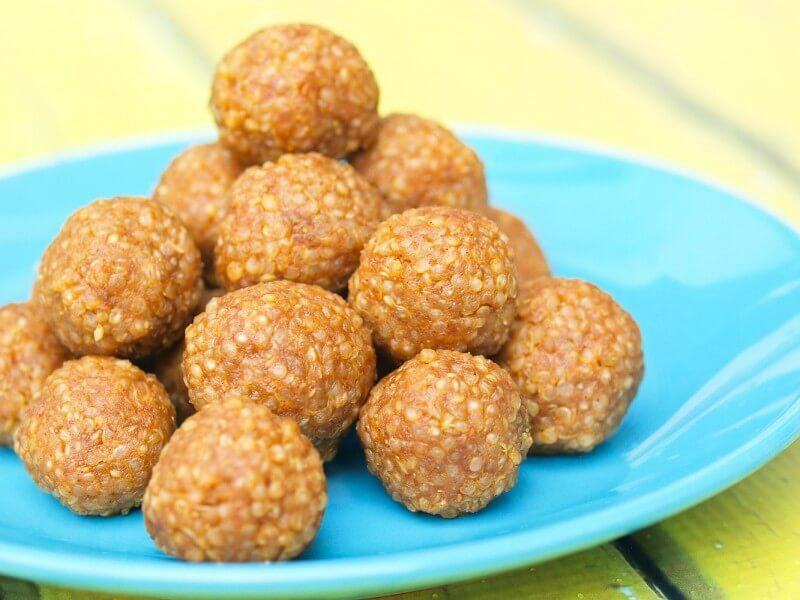 The quinoa is the main reason why these snack balls look a bit different than the other snack balls on the list, but that can be a good thing. Quinoa is a very versatile alternative grain that is popping up in both sweet and savory dishes. 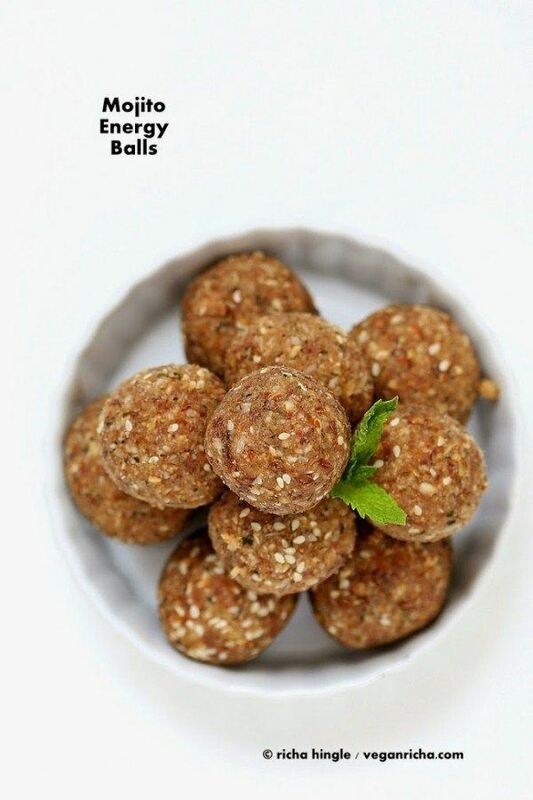 This particular recipe comes from happyhealthymama.com and has a number of ingredients that help give the balls an appealing overall flavor. Cranberry and pomegranate both tend to be viewed as superfruits, so it's nice to see a recipe that contains both of them. Besides that, the bright colors of the fruit really make the balls stand out and look very unique. 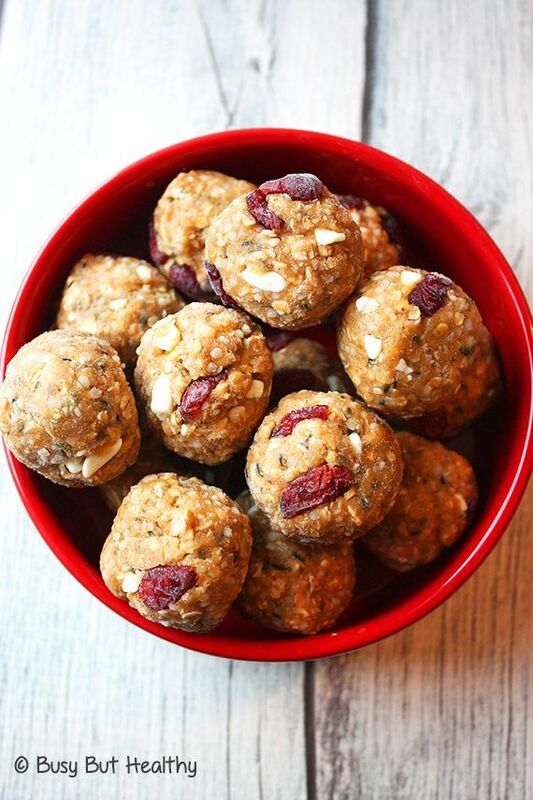 The recipe comes from thenymelrosefamily.com and it really shows how snack balls can be visually appealing while also tasting good. As Gina admits, these snack balls aren't the most visually appealing snacks. That's true for many types of snack balls though, and that shouldn't be an excuse not to try the recipe. You can find all of the ingredients and instructions at runningtothekitchen.com and I'm sure you'll agree with me that the flavor combination does sound perfect. 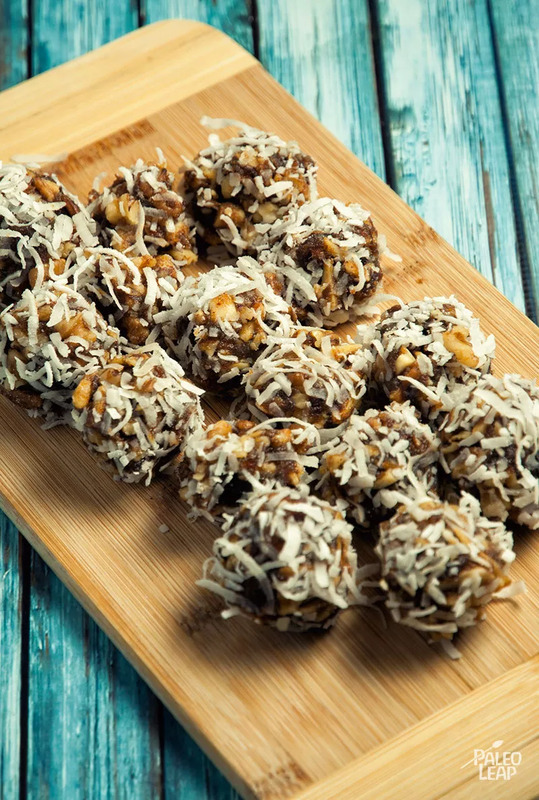 The shreds of coconut on these snack balls really do make them stand out, and honestly the combination of coconut and chocolate is always a great one regardless of the type of snack. The recipe comes from paleoleap.com, and as you might imagine, this means that the balls fall under the paleo diet. The recipe does use natural ingredients, but as the author points out, it is still essentially candy – so don't eat too much. The combination of cinnamon and vanilla always makes me think of fall, especially as that's when these flavors tend to get used the most. 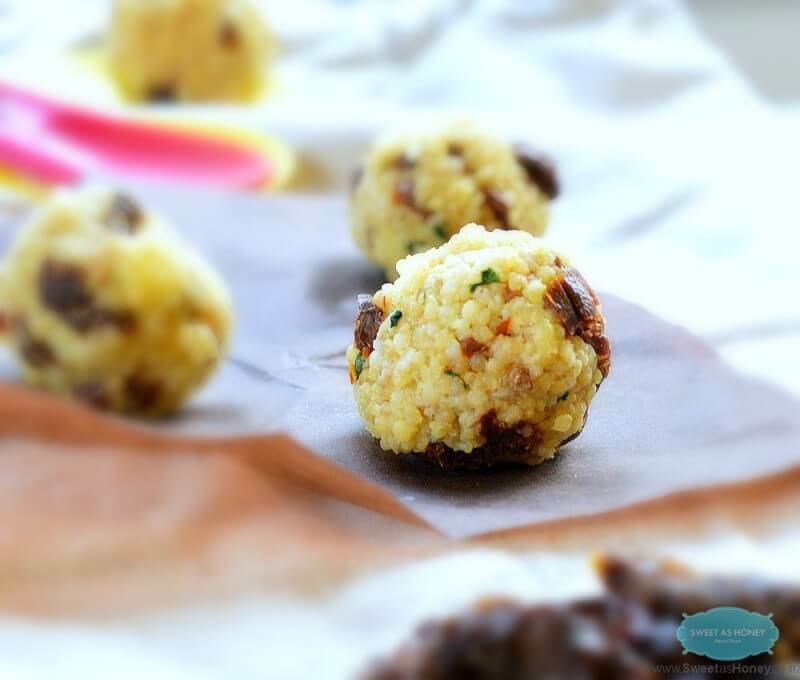 For me, those particular flavors make this snack balls recipe very appealing, especially as it is another simple recipe. You can find out more at theysmell.com and this would be a good recipe for the cooler and the warmer months. Rachel from smartgirlveg.com calls these cookie balls rather than snack balls, and I'm inclined to agree. 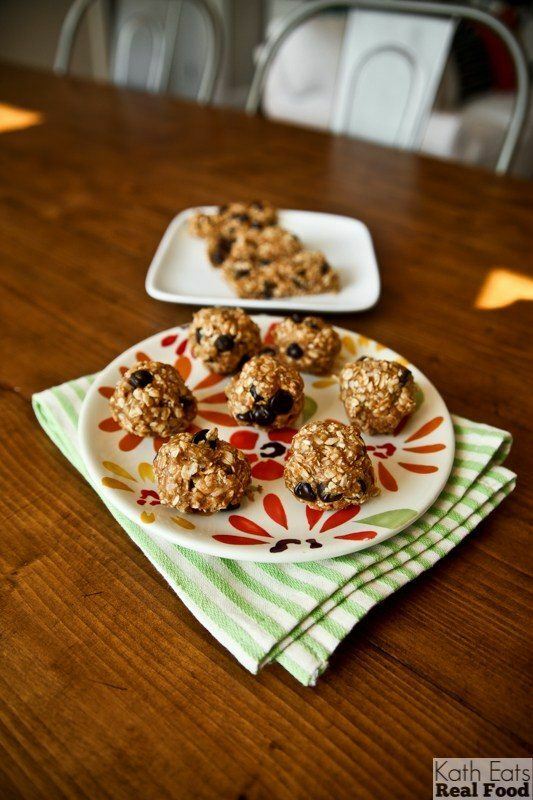 Using oatmeal and raisins alone makes the recipe resemble cookies, but the end result is something that is much healthier than most types of cookies. Plus, you eat them as-is, so you don't have to go through the process of baking. 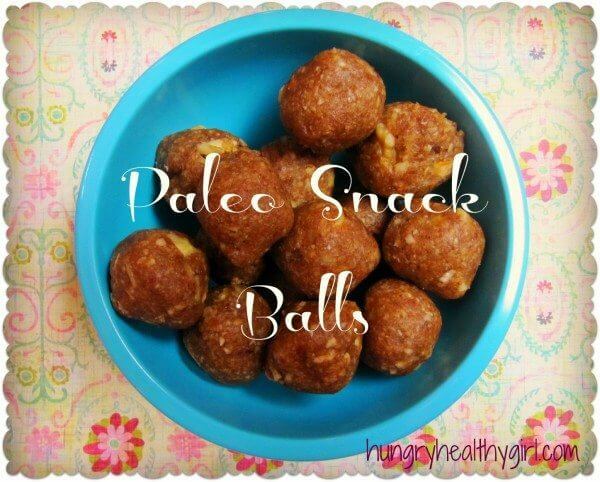 Here's another example of paleo snack balls. This time the recipe comes from kimscravings.com and its something that people can eat even if they are strictly following the paleo diet. Having recipes like this is really important for anyone working on paleo, because the diet can seem really restrictive and most people need to have at least some sweet food in their diet – simply to keep them sane. I was surprised to see a second recipe using hemp as an ingredient, so I guess it is more common than I realized. The flavor combination of these snack balls works well, but my favorite part of this recipe is the flecks of color. You have the red and white flecks, which stand out, as well as some other colors that aren't as well defined. You can find the recipe and ingredients at natashalipman.com if you want to give this one a try for yourself. It mightn't be all that common, but lavender can actually be a really amazing flavor in food. 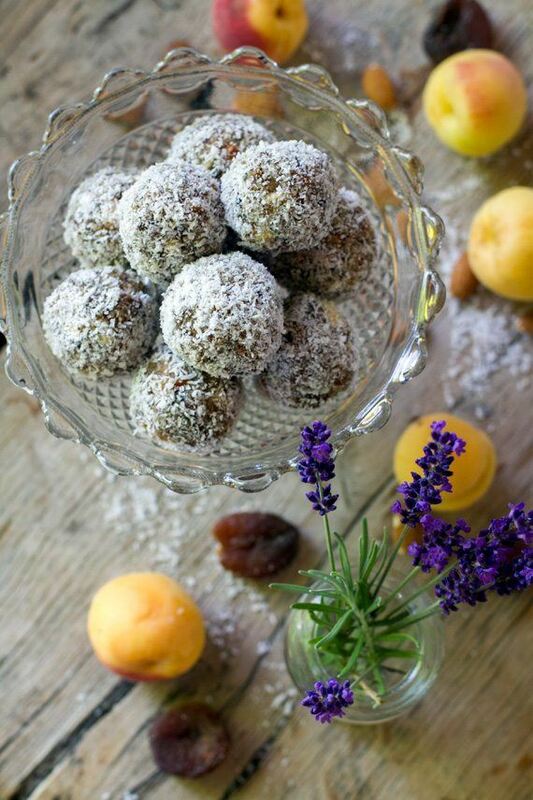 This recipe comes from eatdrinkpaleo.com.au and it balances the flavor of the lavender with apricots and a few other ingredients. The flavors also help to make a treat that is sweet, but not excessively so. 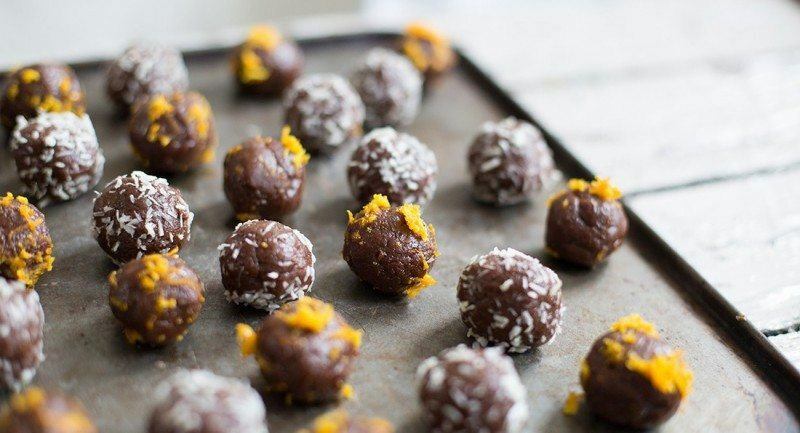 Some of the snack balls in this list are really designed as treats, but these ones are more along the lines of something you would have for breakfast. The balls also freeze well, which adds to their convenience. I found the actual recipe at kitchenfrau.com and I really like the simplicity and flexibility that it offers. As Caz points out, finding snacks that kids actually want to eat can be a tricky task. But, she has this recipe hosted at thetruthaboutmummy.com and I can see how these snacks would be a hit with most kids. The flavor choice for the snack balls is a little bit simpler than many of the other recipes that I've talked about, but that just makes sense as they are targeted at kids. 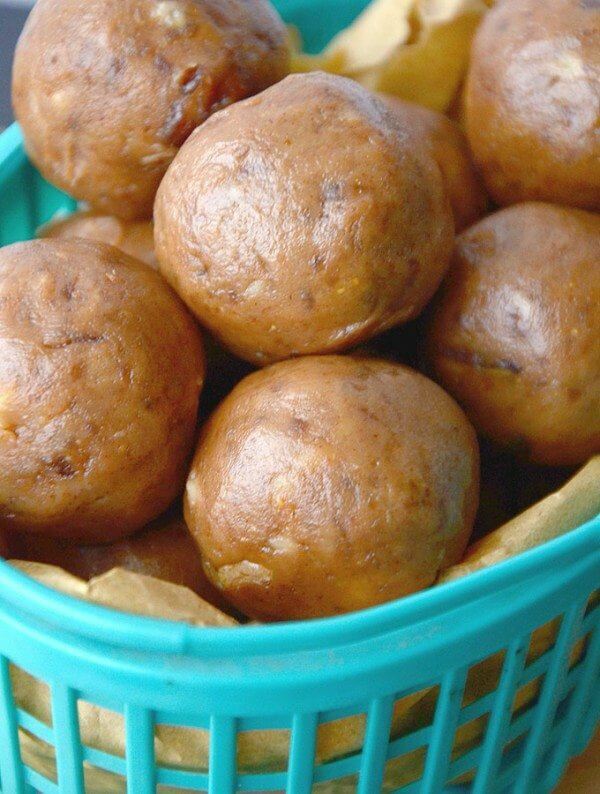 These simple cookie dough snack balls are a great recipe and come from primallyinspired.com. 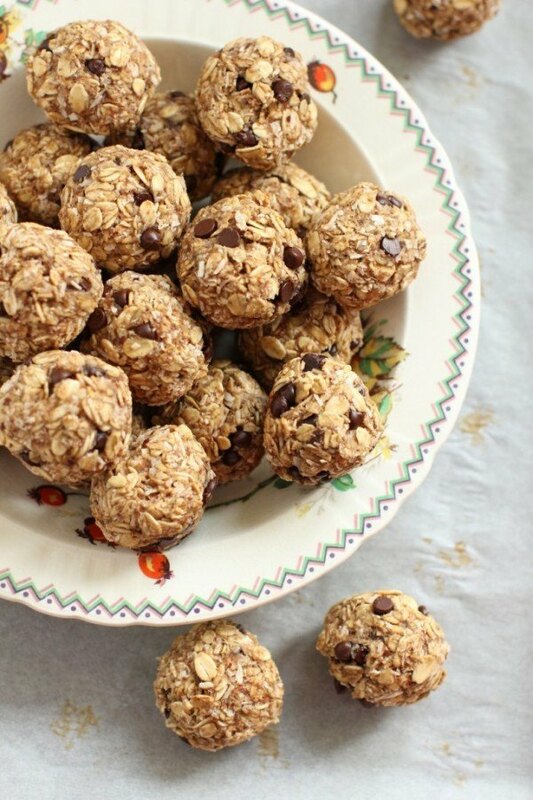 I love snack balls like this as an alternative to sweet and sickly candy (or actual cookie dough), which I know I shouldn't be eating. This recipe only uses five ingredients, so it is an easy one to make. I love the choice of flavors in these snack balls. 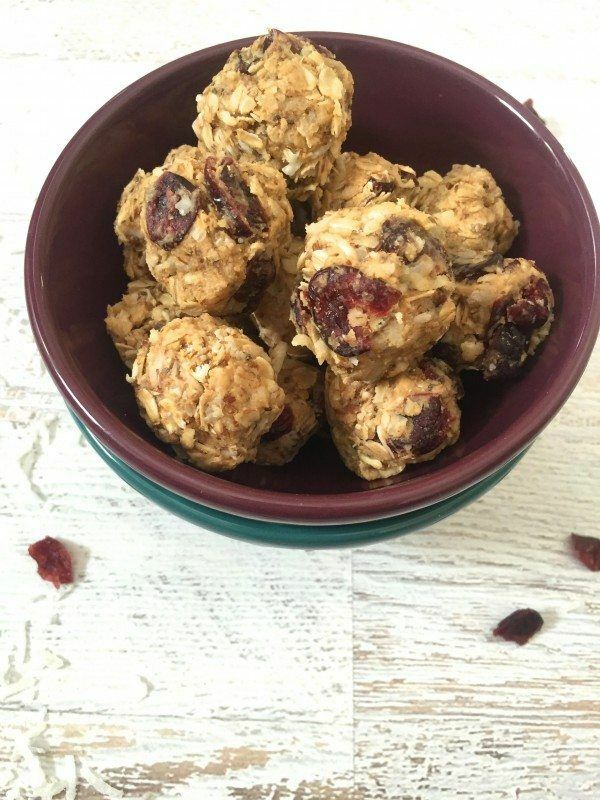 Coconut and cranberry alone work very good together and are a fun option for a snack that isn't too sweet. The recipe from acedarspoon.com also has a number of other ingredients. The end result is a treat that balances sweetness and nuttiness nicely. Peanut butter and chocolate work together well in candy, so why shouldn't the same flavor combination also work well in snack balls. 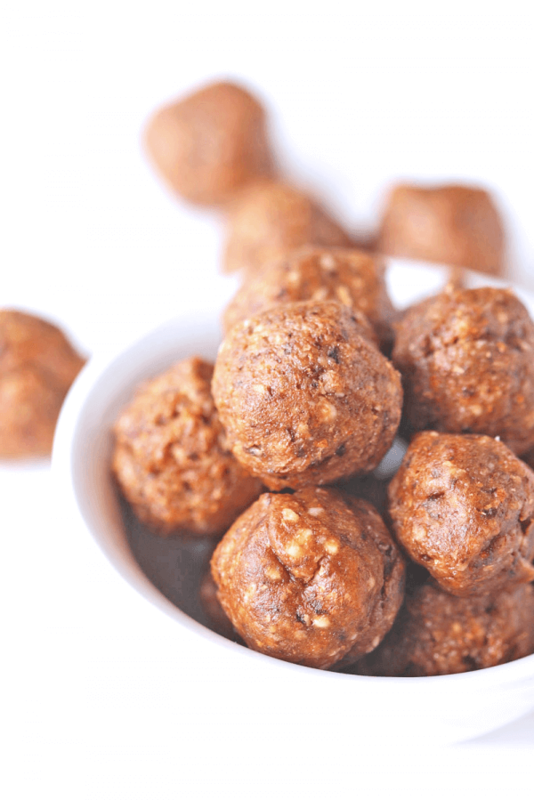 These balls also use oatmeal, which makes them more filling – and would be perfectly suited for breakfast. The recipe is from katheats.com if you want to give them a try for yourself. 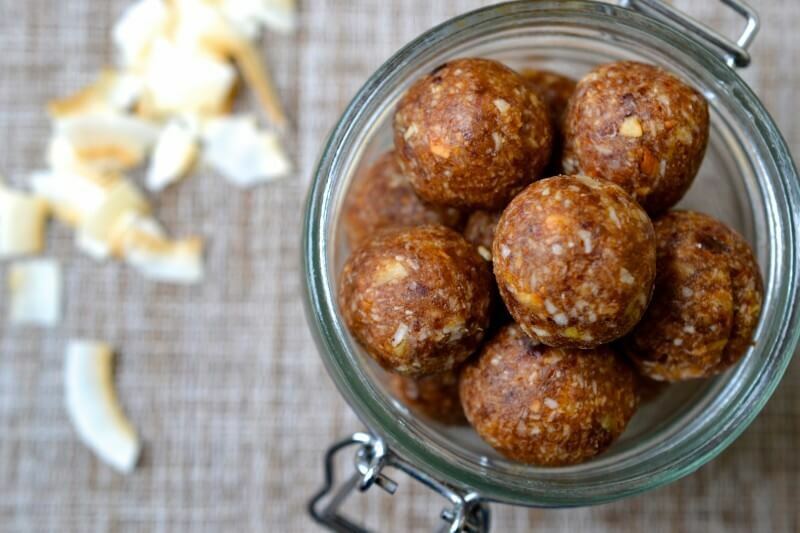 In these snack ball recipes, we've seen a lot of flavors repeat, including coconut. 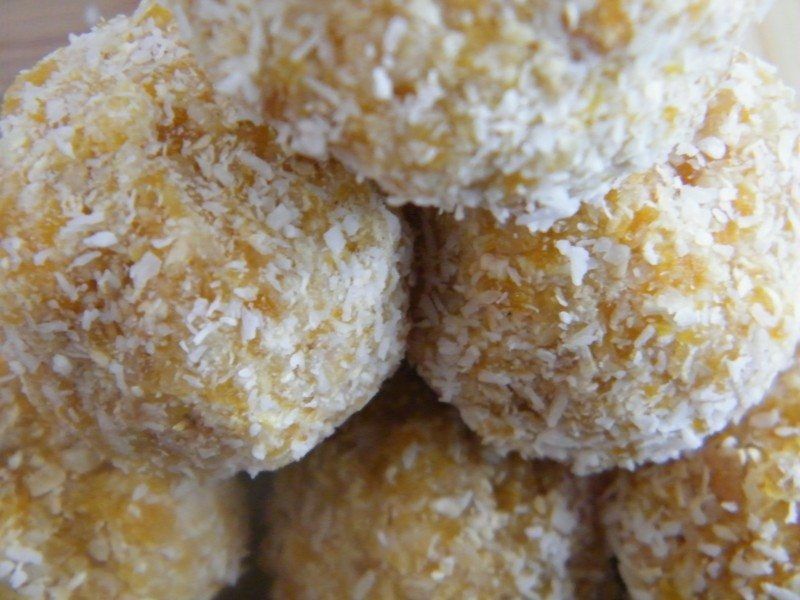 However, this particular snack ball recipe is the first one I found that uses ginger. Ginger is a clever choice, because it had the ability to add a bit of sharpness to the overall flavor. This recipe can be found at everylastbite.com and it is worth taking a look at. These cinnamon raisin bites might look a little bit boring in the image, but really that doesn't mean anything. I've found that many snack balls don't look especially appealing, but are actually bursting with flavor. That is certainly the case with this recipe from hummusapien.com, and the author uses a great balance of ingredients to get a good overall flavor. These chocolaty treats are a great option for anyone who is dealing with a chocolate craving or a bit of a sweet tooth. 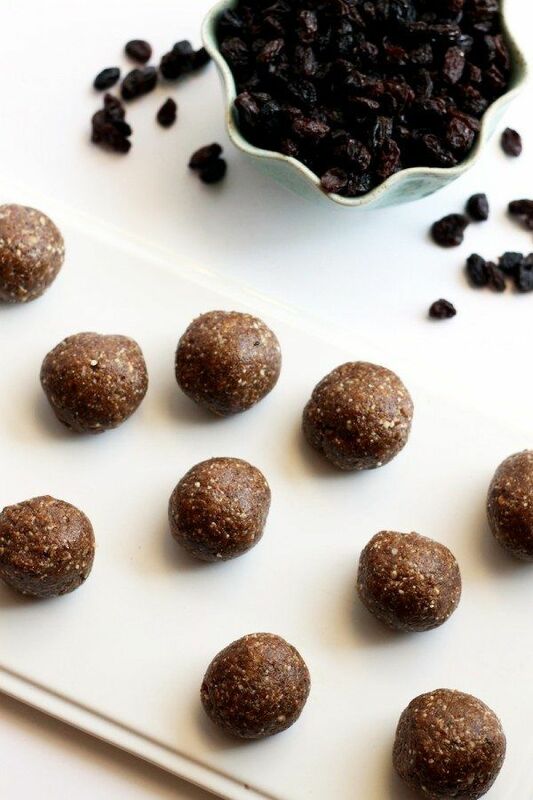 Like many of the snack balls on this list, these ones are a much healthier option than candy and are filled with natural ingredients. The recipe comes from hellonatural.co and looks like it would be a great one to try. We're going to end this list with one of my favorite flavor combinations, which is chocolate and orange. Personally, I think those two flavors work really well together, and this recipe from madelineshaw.com combines the two nicely. Plus, the use of orange zest on the finished product does look particularly inspired. Looks great! Thanks for including us! I would like to know how long they can be stored. Any suggestions?